The site now boasts 19KWp worth of Solar PV generation, generating on average 13 MW of power per year for the site. The site itself is very active during the daylight hours, and the vast majority of power generated is used internally. Any surplus is used to charge the site’s back up batteries if needed, or alternatively exported to the national grid. The three key arrays onsite represent 3 different era’s of solar panel development, with the earliest array (now 20 years old) utilising then state of the art 85w panels, whilst the panels installed in 2015 are almost 300% more efficient at 250w generation per similar sized panel. 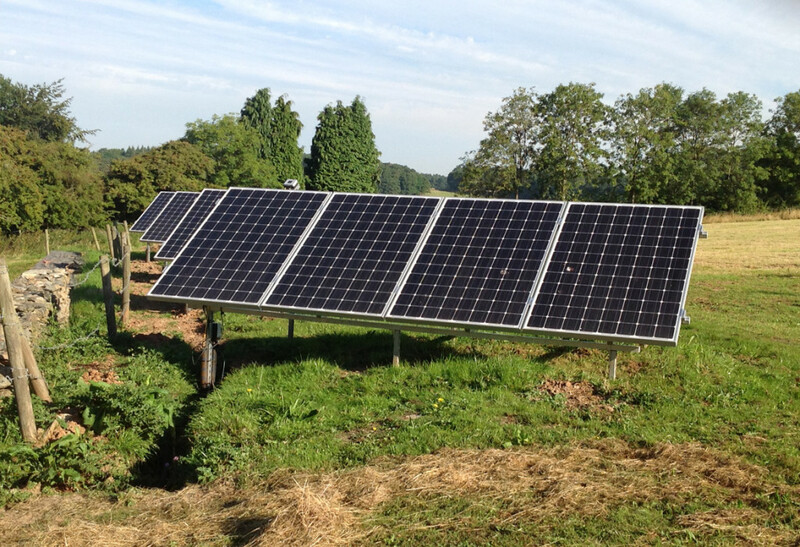 1KW of PV onsite, is kept off grid and independently powers the site’s underground water pump.